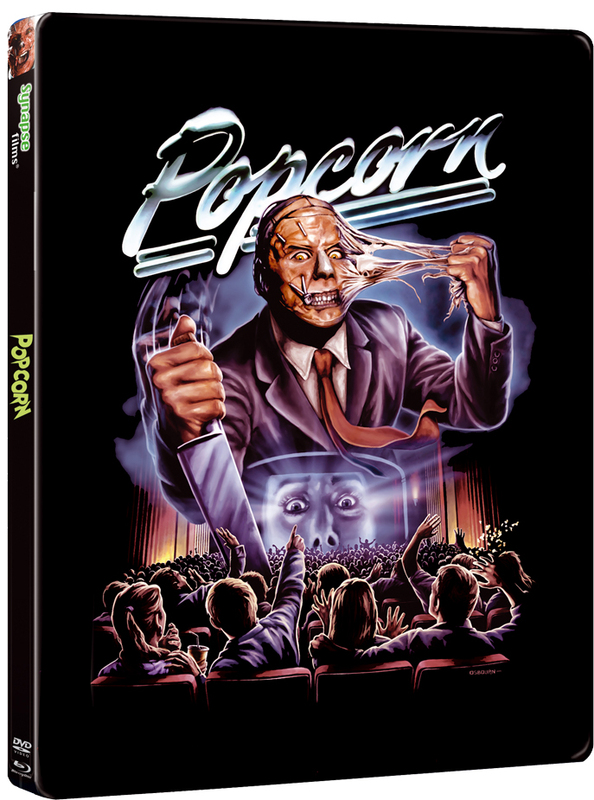 POPCORN is coming in March from Synapse Films! The long awaited Special Edition of POPCORN is finally coming and, below, you will find the pertinent info about the release. And, since this isn’t our first rodeo with exclusive titles, we have to let you know that our website DOES get hammered a lot in the first day of customer orders. If, for some reason, you cannot get through to place your order… DON’T PANIC! We are just a small company of two and we don’t have the server capabilities of larger companies like Amazon that can handle larger than normal web traffic. Be patient, and you can get your order in. Things may slow to a crawl with those first folks trying to get their orders in, but don’t fret. You can also call our office and speak with Jerry Chandler (he’s usually in after 11am Eastern Time) to place a phone order at 734-494-3502. This one is well worth the wait, and we hope you enjoy it! Projected street date is March 7, 2017. Shipping to customers will commence on that date, or as soon as the release is received at Synapse Films. If they come earlier than the 7th, they will ship to customers earlier. In the unfortunate event that our replicator cannot get them to us by that date, we will update customers on our Facebook page and Twitter feed and let you know. But, the project is now finished and currently in replication, so all is set! The 3000 unit POPCORN Limited Collector’s Edition Blu-ray Steelbook® is available exclusively through the Synapse Films website at: www.synapse-films.com. All international orders will be handled via the fine folks at DiabolikDVD: www.diabolikdvd.com. Projected street date is March 7, 2017. Shipping to customers will commence on that date, or as soon as the release is received at Synapse Films. If they come earlier than the 7th, they will ship to customers earlier. THIS RELEASE OF POPCORN IS PLAYABLE WORLDWIDE AND IS REGION FREE. 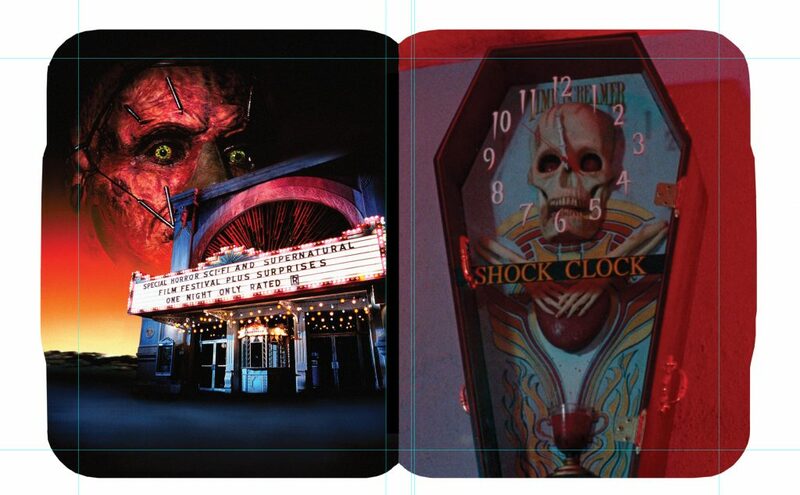 PLEASE NOTE: Like our previous Limited Collector’s Edition Steelbook® releases, the price of this product is $39.95 plus a $6.00 packing/handling fee ($45.95 total). Synapse Films personally and securely wraps/packs/insures and ships each and every Steelbook® individually with additional packing necessary to keep it safe on its way to your home. We even hand deliver them ourselves to the post office. Those of you who would like to save the $6.00 and pick it up direct from our office can certainly do so. Please call our office at 734-494-3502 to place your order for pick up and we’ll reserve yours, so you can come by the office and get your copy when it’s released! Due to the “Limited Edition” nature of this release, Synapse Films will not be making review copies of the Steelbook® available to the press.